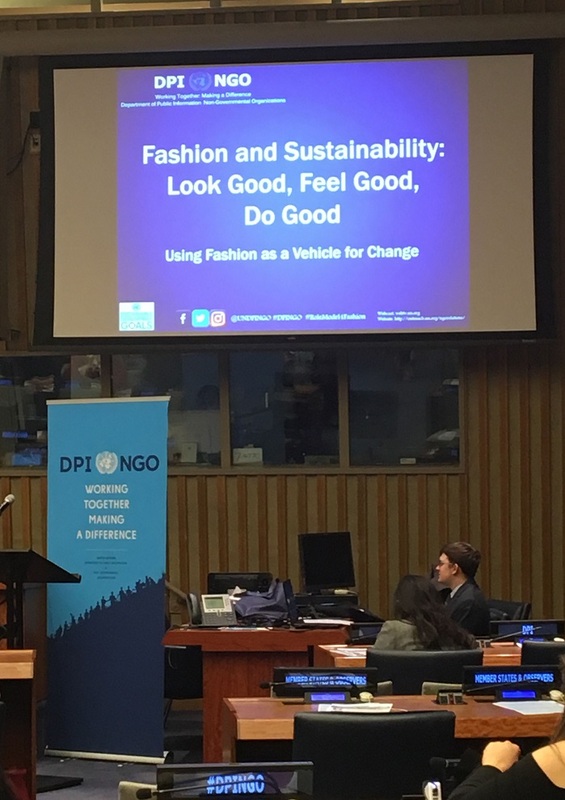 On November 16th, DPI and NGO Relations hosted a briefing entitled “Fashion and Sustainability: Look Good, Feel Good, Do Good” at the UN in New York City. 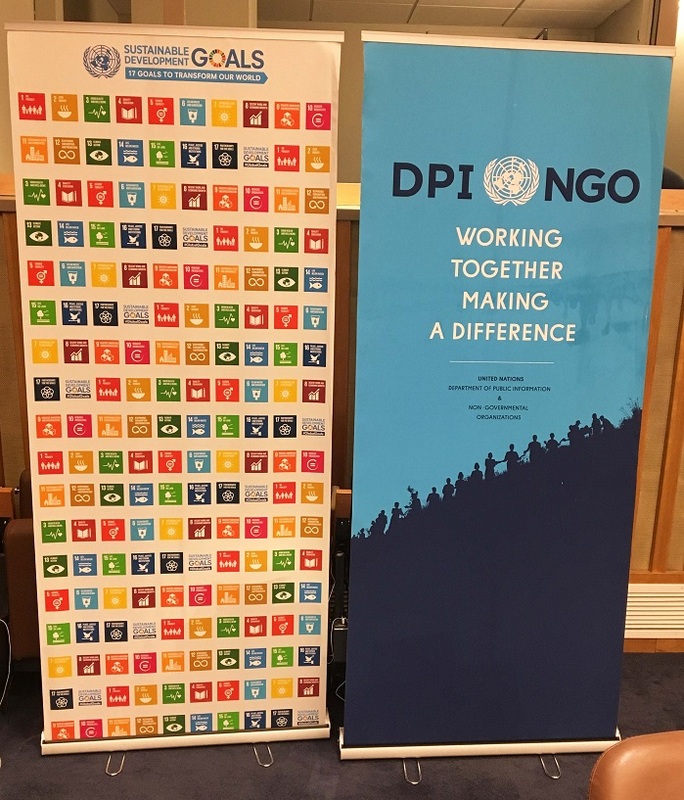 A panel of experts and change-makers representing non-profit organizations spoke about their respective missions to raise awareness on environmental sustainability, material and manufacturing transparency, and human rights. The event concluded with a fashion show featuring collections by designers whose work supports these initiatives. 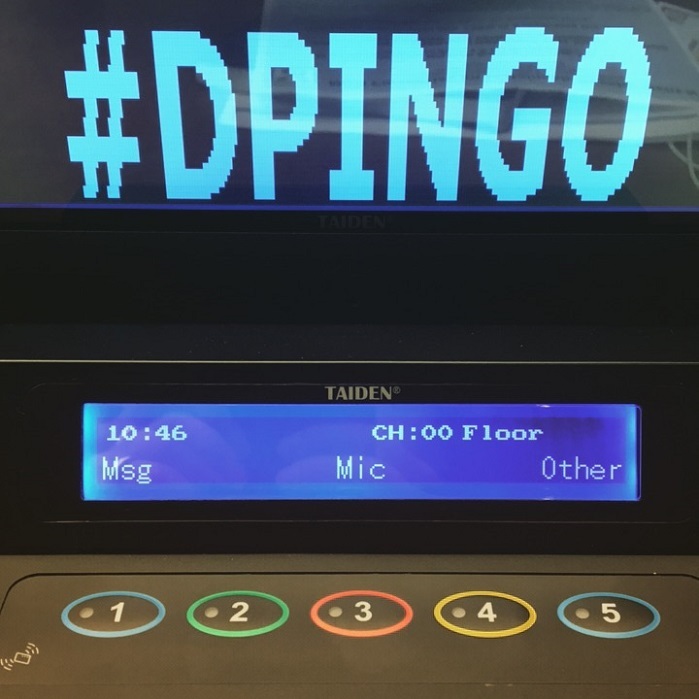 Industries from mobile communications to advertising have already joined the UN to support their 2030 Agenda for Sustainable Development and along with NGO’s, are helping to achieve their 17 Sustainability Development Goals (SDG’s); the fashion industry however, has been extremely slow to get on board and make significant change. The global apparel industry employs 1 in every 6 people on the planet and generates over $3.3 trillion dollars annually accounting for 2% of the world’s GDP. To say it’s a no-brainer to engage the industry in this important conversation is an understatement. Panel moderator Patrick Duffy, founder of Global Fashion Exchange (GFX), cites the harmful relationship between manufacturers of fast-fashion and demanding consumers as expediting the negative impact of the fundamental problems for the fashion industry: water consumption, discharge of hazardous chemicals, violation of human rights, labor standards, greenhouse gas emissions and waste production. This year, sales from Single’s Day, China’s 24-hour shopping extravaganza dwarfed those from Black Friday and Cyber Monday combined. Nie Li, toxics campaigner at Greenpeace told Reuters, “Record-setting over-consumption means record-setting waste.” The blowout event is estimated to have generated more than 160,000 tons of packaging waste from more than 330 million shipments. Not only is that a lot of trash, the carbon emissions generated from the production, packaging materials, and shipping of these purchases wreck havoc on the environment. China’s cities are notorious for their hazy skies and stifling air quality. Similarly, Amanda Carr leads the “Style Initiative” for Palo Alto based non-profit Canopy whose mission is to plant and care for trees. She partners with 105 clothing brands, designers, and retailers representing over $115 billion dollars in annual revenue to prevent companies from using materials made from wood pulp sourced from ancient or endangered forests. Few designers realize that 70% of the global pulp conversion market goes into making fabrics like viscose, rayon, and lyocell. The pressure for companies like Zara and H&M to drop new collections every week has created a high demand for these materials and this has led to deforestation. Disrupting the delicate ecosystem forests create, endangers the species that inhabit these areas and also contributes to climate change. Who exactly is making all of these clothes? It is estimated that 60% of fashion product is manufactured in small workshops and homes. Women make most of the garments that pass through these places. Much of this work is considered a part of the “craft” industry, which is the 2nd largest supplier of goods made by women globally. Michelle Sheppard, whose sustainable knitwear collection Callina was featured in the show, is a designer who works with a women’s collective in Peru. Sheppard makes most of her pieces in 100% Alpaca and knits them with local artisans. Alpaca is considered a sustainable fiber because unlike goats, which can make land go fallow from over-grazing, Alpacas only “mow” the grass rather than ripping it from the soil. This allows fields to replenish themselves more easily. From 1 alpaca, enough fleece is harvested to make 3 sweaters whereas the fleece of 5 goats is needed to make just 1 in cashmere. She promotes a self-sustaining, closed-loop system since the entire product lifecycle is handled locally. Alpacas are indigenous to Peru. The same family who owns the herd spins the raw materials into yarn, which Sheppard then uses to knit her sweaters. The yarn mill supports the mostly women knitting collectives by building schools for their children and providing healthcare and safe housing. The income the women generate fosters local economy, which in turn, supports other businesses in their community. Even if the largest apparel companies make radical changes to their global manufacturing processes the question remains will that be enough to slow down or reverse some of the negative effects the fashion industry has inflicted on our planet? 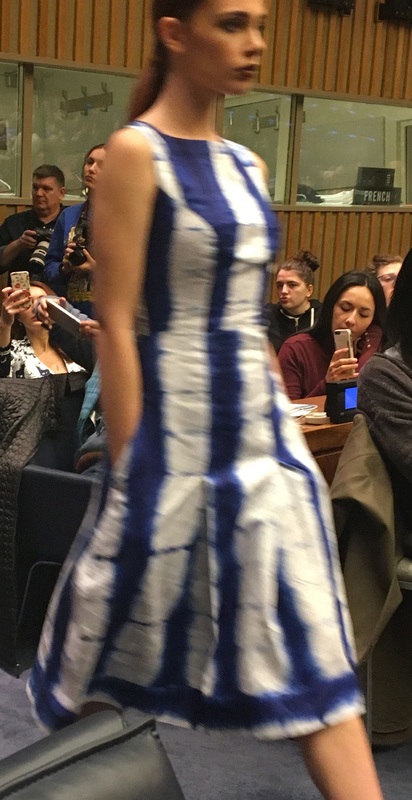 Andrea Reyes chair of the NYC Fair Trade Coalition teaches people how to be fashion disrupters to inspire change. 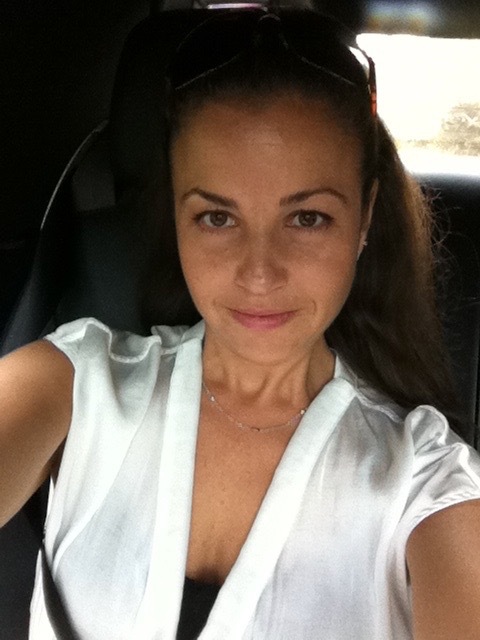 She encourages people to join an organization or simply to set some ground rules for their own purchases. In an effort to avoid dumping more than 2.5 billion tons of discarded apparel into landfills each year she promotes “Clothing Swaps” where people can purge their own closets of items they no longer want yet still shop to freshen up their style by finding pieces from others looking to do the same. Wendy Friedman is a self-taught knitwear designer specializing in sweaters, cold weather, and athleisure. She works with Women’s, Men’s, and Accessories brands to launch new business or fix ones that need to be reinvented. 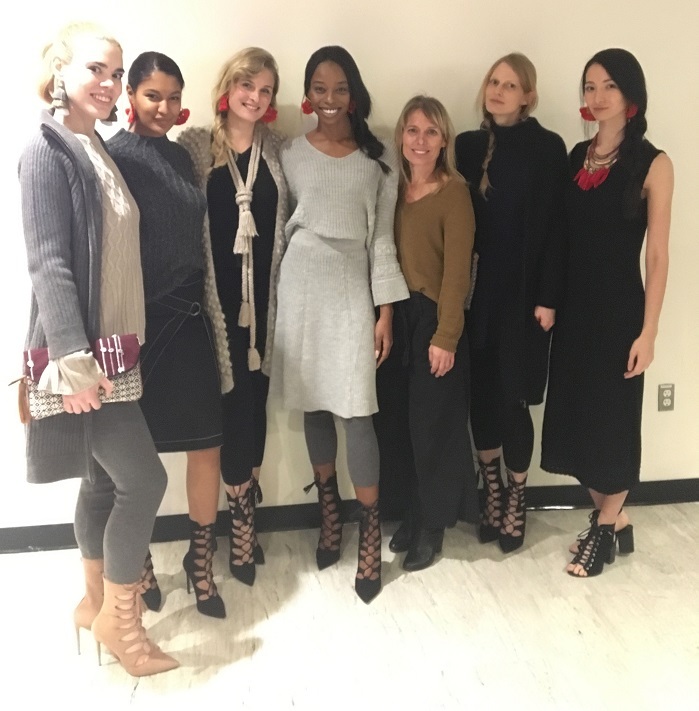 She has held positions with Coach, Henri Bendel, and Tommy Hilfiger and designed for clients across all market sectors including Gap, Amazon, Saks Fifth Avenue, Neiman Marcus, Steve Madden, Victor Alfaro, Thakoon, Adam Lippes, Bill Blass, and Badgley Mischka. Wendy is the creator of The Darker Horse,a visual blog focused on high-fashion knitwear design and trends which has been referenced by WGSN and Stylesight. Wendy has a B.S from Cornell University in Textiles and Functional Apparel Design and a certificate in Journalism from N.Y.U. She is a former adjunct professor of knitwear at F.I.T and has also taught at Parsons School of Design.